California said it would cooperate with China on clean technology, emissions trading and other “climate-positive” efforts in a bid to fill a gap left after President Donald Trump pulled out of the Paris climate accord last week. The failure of leadership by the United States was “only temporary,” Brown told reporters on the sidelines of a clean energy forum in Beijing on Tuesday, adding that science and the market would be required to get past it. 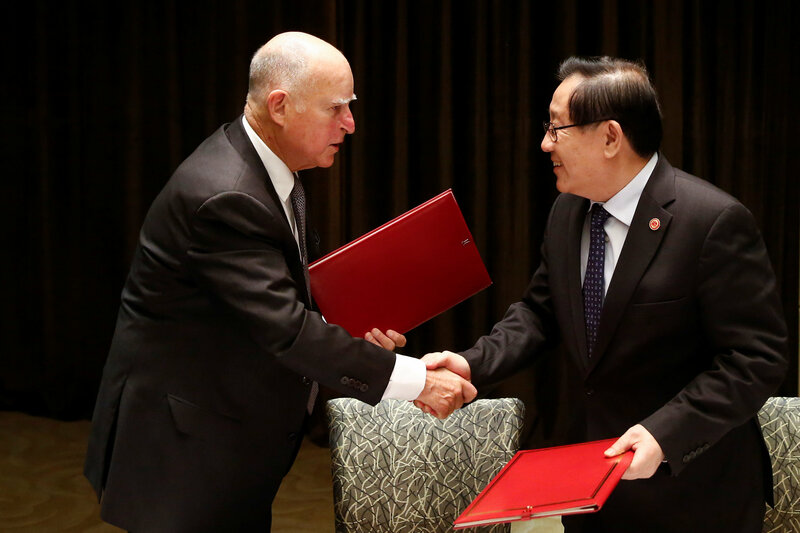 Brown later met Chinese President Xi Jinping, who urged California to “play a bigger role in promoting exchanges and cooperation between China and the United States,” state news agency Xinhua said. However, China’s priority is to focus on its own carbon market “which is big enough and complex enough,” Ma Aimin, of the National Centre for Climate Change Strategy and International Cooperation, told the same energy forum.